Gator Dining Services is the official food service provider for the University of Florida. We make campus life easier with over 45 locations on campus. These include all your favorite national brands -- Subway, Chick-fil-A, Einstein Bros Bagels, Panda Express, Pollo Tropical, Starbucks Coffee and Moe's Southwest Grill to mention a few. Gator Dining Services offers both Meal Plans and Declining Balance Accounts. Our meal plans are both economical and delicious. They offer nutritious, well-balanced meals with "unlimited seconds." Our residential dining centers are modeled after a European marketplace and include a variety of upscale, authentic foods from around the world. For the student living a distance from campus, a Declining Balance Account is a convenient alternative to a meal plan. The Declining Balance Account has no starting fees, no minimum balance to maintain, and you can deposit money anytime. 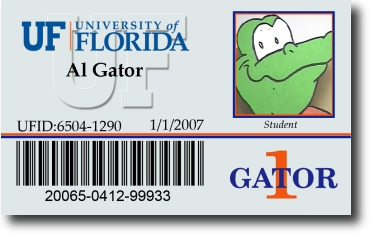 It enables students to purchase food at all Gator Dining locations, including our convenience stores, and eliminates the need to carry cash on campus. For more information about Meal Plans and other accounts, please visit our home page at www.gatordining.com. You can also contact us via phone at 352-392-2491 (Monday-Friday 8:00 am - 4:30 pm) or us anytime. This page was last updated on 10/26/2017.